First published in 1947 in the USA. This edition reprints the first UK edition of 1964. Published to critical acclaim, the central argument of this book is that the historical play must be studied as a genre separate from tragedy and comedy. Just as there is in Shakespearean tragedies a dominant ethical pattern of passion opposed to reason, so there is in the history plays a dominant political pattern characteristic of the political philosophy of the age. 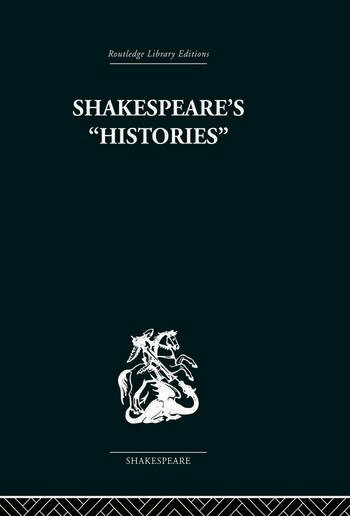 From the 'troublesome reign' of King John to the 'tragical doings' of Richard III, Shakespeare wove the events of English history into plots of universal interest.